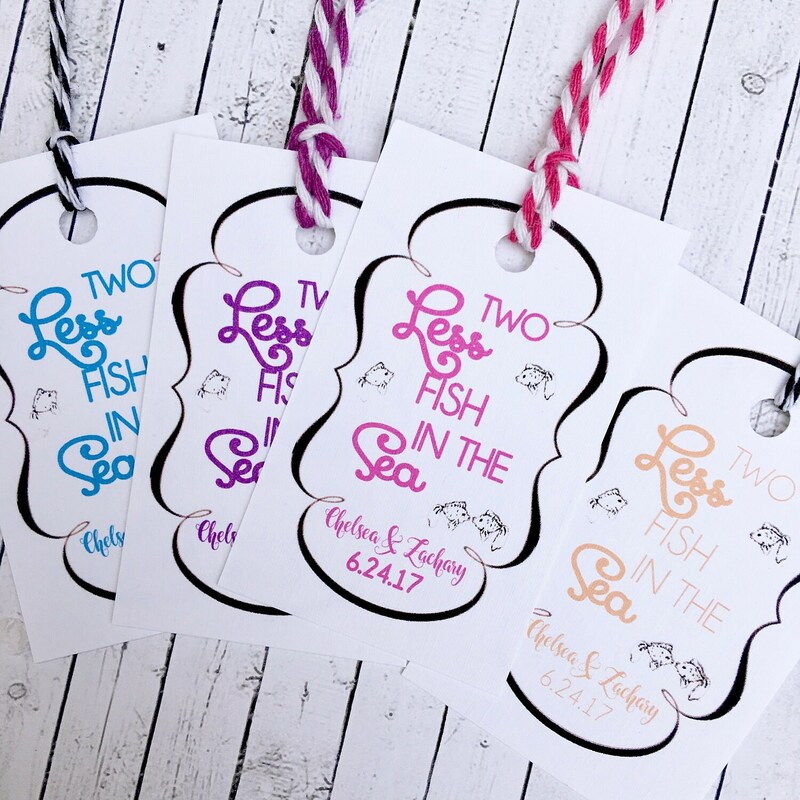 These tags are the perfect addition to your two less fish in the sea themed bridal shower! 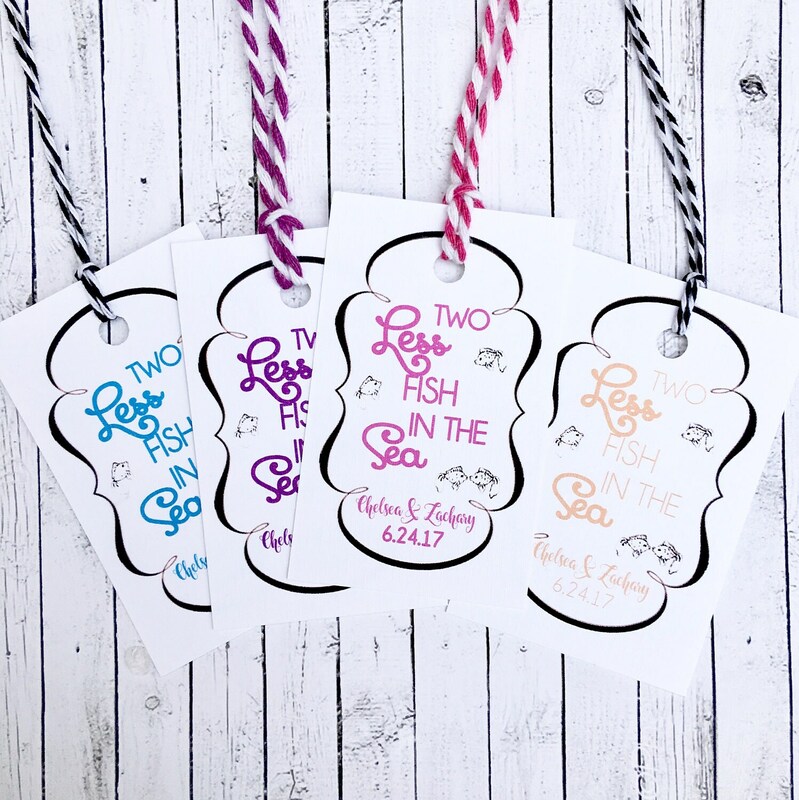 Each tag has bride and groom names with wedding date. Include this information in the note to seller section when you check out. I have any and all colors available. Just message me if your color choice is not listed. Thanks for browsing and shopping!